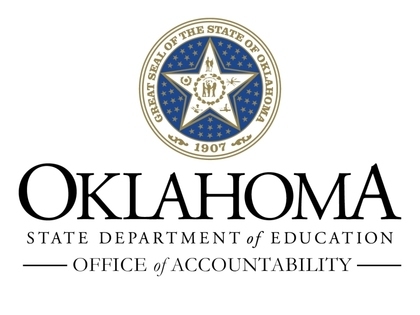 The Office of Accountability is reaching out to remind schools that if they have not already posted the link to the Oklahoma School Report Card on their school website; www.oklaschools.com under the ESSA, beginning with information from the 2017-2018 school year, report cards must be posted annually on SEA and LEA websites. (ESEA section 1111(h) (1) (A), (B)(iii) and (h)(2)(A), (B)(iii)). At the core of the Oklahoma School Report Cards is the belief that all students can grow and all schools can improve. While no student report card tells the full story of a child, no school report card tells the full story of a school. Education is far more than a single score or letter grade, but it is important that families and communities can see both strengths and areas that need support and improvement. If you have any questions please do not hesitate to contact the Office of Accountability at (405) 522-5169 or accountability@sde.ok.gov. © 2019 Oklahoma State Department of Education (OSDE). All rights reserved.